Let’s be real, entertaining can often feel like all work and no play. Whether you’re in charge of hosting or bringing, coming up with a foolproof recipe that will wow the crowd is a challenge in itself. Not to mention that same wow-worthy recipe needs to hold up throughout the duration of a potluck or party. And don’t even get us started on the never-ending struggle to nail down the timing of each dish when you’re making more than one. Are you stressed yet? Put down the car keys and resist the temptation to make a mad dash to the grocery store for chips and salsa. Keep calm and read on for how the slow cooker is going to help you crush this year’s potluck season from apps to dessert. It’s helpful to have more than one slow cooker; a larger one can be used for main dishes or big-batch recipes, and smaller ones work well for dips. Use a slow-cooker liner for quick and easy clean up. If the food is being served outdoors, bring an extension cord to keep food warm. If you’re hosting, consider using one table for warm food so you can plug more than one appliance or warming vessel into a multi-outlet surge strip with an extension cord. If you’re a bringer, transport your dish right in the slow cooker. Purchasing an insulated carrier or travel bag is a real life-saver. But in a pinch, you can use rubberbands to secure the lid, wrap your slow cooker in a towel and put it in a box to transport. 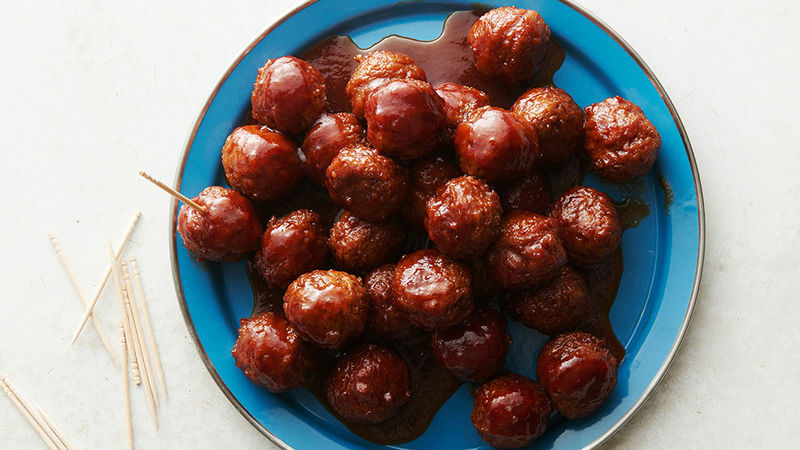 There are more ways to shine during potluck season. And by ways, we mean these recipes.